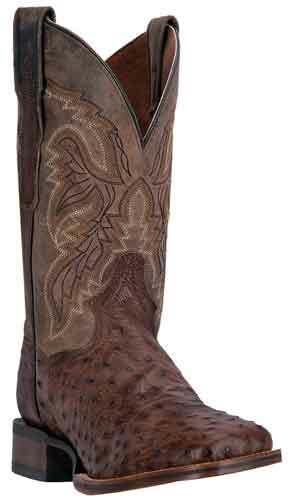 This Dan Post Cowboy-Certified Alamosa Western Boot Features A Chocolate Full Quill Ostrich Foot Under An 11" Brown Leather Shaft With Fancy Stitched Detail. Soft Strike Removable Insole. Double Stitched Welt. Stockman Heel. Wide Square Toe. Cowboy Certified TPU and Leather Outsole.